Lynne Broussard has led the Marketing and Business Development for the McClellan Branch of Supreme Lending for three years. In addition she manages all relationships with the Branch. Lynne brings 20+years’ experience in sales, sales/broker management and marketing with Pepsico. Lynne worked across teams and broker management to bring together promotional plans for Gatorade, Tropicana and Quaker Oats Brands. Creativity, strategic growth planning, event planning and business development are her strengths. 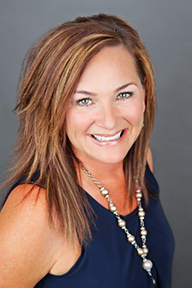 Lynne’s goal is to connect REALTORS® and clients with our highly respected company, Supreme Lending and professional Loan Officers so that we can provide the service and products clients need to achieve the dream of home ownership.